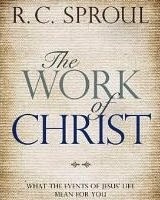 Note that a bunch of RC Sproul’s smaller books are free right now (http://bit.ly/RC-Sproul). This is not one of his “smaller books.” This is the complete 224-page book, #1 on Amazon in Christology, the study of who Christ is. § The similarities and differences between the temptation of the first Adam and the temptation of Jesus, the “second Adam"